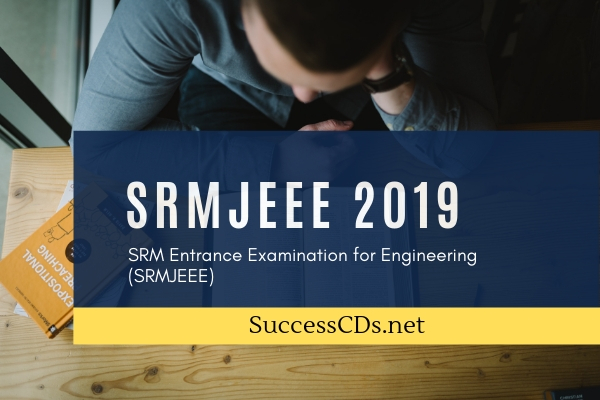 The SRM Joint Engineering Entrance Examination will be held on 15th April - 25th April 2019 in 118 Test Centres and 05 International Test Centres at national level. Students can check all the details about SRMJEEE 2019 examination, including application form, exam dates, eligibility, syllabus, etc. Percentage: 60% aggregate in PCM for Kattankulathur, Ramapuram and Vadapalani campuses and 55% for NCR, Delhi campus. One or more counseling sessions will be held depending on the vacancy position. 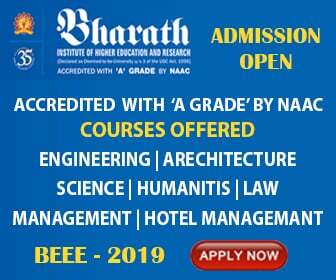 The official website of SRM University www.srmuniv.ac.in and the Directorate of Admissions is the only NODAL OFFICE for all admissions. Visit www.srmuniv.ac.in and apply online. Physical applications (Hard Copy) are NOT permitted. It is not sold at any point of sales within or outside the campus.